If you work in community, marketing or “digital” (whatever that means to you), you’ve probably heard a lot about the declining reach of Facebook pages, the death of Google+ and how Twitter isn’t far behind. Everybody loves to talk about platforms dying. For what it’s worth, I don’t think any of these stories are that big of a deal. The Facebook reach drop is probably the most impactful one, but Facebook doesn’t owe pages anything and it was never said that they wouldn’t change how reach works on their platform. 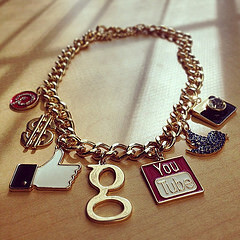 Google+ has provided value for some people, while others never found traction. And Twitter is still what you make it. No matter how great third party platforms are performing, even if you could go back to the days when beer flowed like wine for brands on Facebook, one simple fact remains. It always goes back to the spaces you actually control. And there it is. If you haven’t been building up your own home base, your own website, your own hosted community, your own list, it’s on you. You’ve had time – plenty of it. Generally, the strategy for interacting on third party platforms has two aims: to interact directly on that platform and to encourage people to visit your own offering, in a manner that is acceptable within that platform. That said, it’s never too late to start – or to re-focus. If these changes serve as the catalyst to increase your efforts on your own turf, then they may end up being a net positive for you and your community efforts. Just had this discussion with some social media believers. 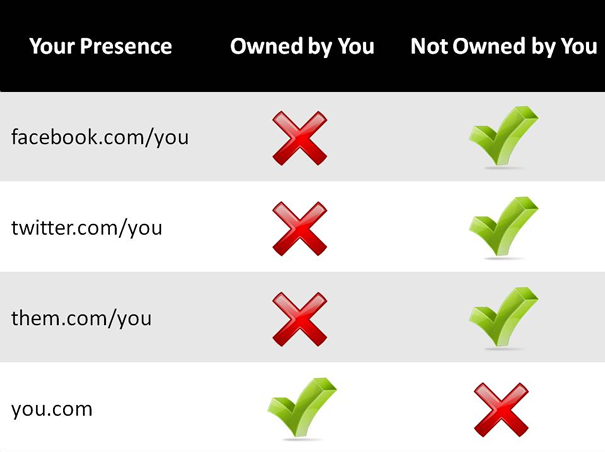 In essence, I always treat Facebook/ Twitter and other outlets as a “leased property away from home”. Good to get the word out to a certain extent, but content is not under your ultimate control which equals: RISK. Especially for discussion forums, sites which offer the opportunity to interact amongst the social media user-base may cause more issues in the long run as discussions may happen completely off site. I view them as “further publishing entities” and one is responsible for what happens on them, however if one can’t fully control it, its a liability more than anything. 400 Twitter followers and 168 Facebook Likers later, my site has recruited less than a handful of people from those outlets, but benefits traffic wise. Result: Invest time and money on your own members, not someone elses. to be honest: I think you are right and wrong. Actually it was never and always that way. Of course you need your “home turf” but there are, were and always will be 3rd party networks/ communities that you want to implement into your strategy. So basically I think you can also say “It always goes back to the spaces where your audience is.” And that is Facebook, Twitter, Reddit, used to be MySpace, maybe will be something like “WhatsApp” “Lime” etc. when mobile will rule the world. It is always about a balanced strategy and I think that has to include external and internal platforms. Thanks for the comment, Jason. Glad that it resonated with you. Yeah, it’s good to look at them as outposts, as Chris Brogan termed them once upon a time. Thanks for the comment, Benjamin. You’ve disagreed with me by saying what I said with different words. :) No one is talking about abandoning third party platforms, but engaging only on third party platforms exposes you to substantial, unnecessary risk.